At SweetRush, we are also seeing a growing demand for unconscious bias training and education. Organizations are realizing the importance of creating inclusive work environments and helping leaders and managers discover their blind spots when it comes to unconscious bias. Although recruiting and management get a lot of the attention when it comes to mitigating unconscious bias, the biases of learning professionals should not be overlooked. Every day, they create materials that include real-world case studies and scenarios. They choose stock photography to include in their slide decks or eLearning. They interact with and respond to learners in the classroom. Unconscious bias can negatively influence all of these activities, and we’re not hearing much about this in the learning and development community. Dr. Steve Yacovelli, a special consultant to SweetRush, and Erin Krebs, our Director of Client Solutions, spoke on this topic at DevLearn 2016, with their presentation on the impact of “hidden” or unconscious bias within learning. We’ve put our entire team through this training, and individuals of all roles now have a greater sensitivity to mitigating unconscious bias in learning materials. In the article “Hidden Forces: Unconscious Bias in Learning,” Yacovelli provides an important checklist to consider when developing learning materials. Paying attention to images, wording, and the target audience helps mitigate biases and create inclusive learning. 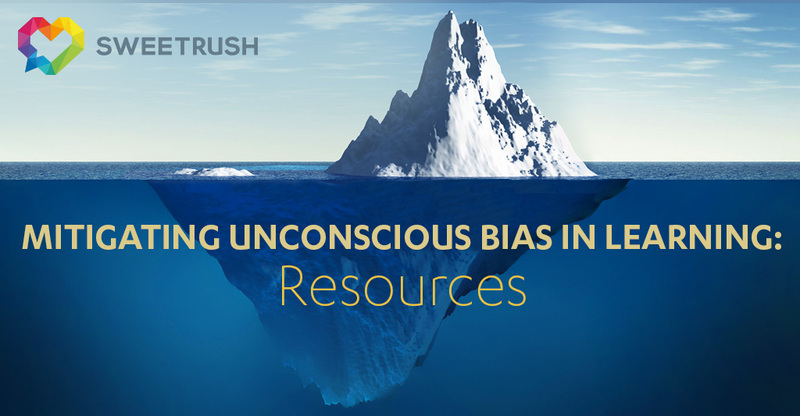 If you’re interested in learning more about our services related to unconscious bias, please email us at info@sweetrush.com. It would make our day to hear from you!